Sign up for the Talking Points newsletter, a recap of the most important business news, delivered fresh each afternoon, Monday through Friday. With unemployment in Massachusetts at a 15-year low, wages finally creeping upward, and the state’s economic growth rate outpacing national numbers, a “steady the course” 2017 seems like a reasonable bet — barring some kind of catastrophe, political or otherwise. But for many companies, dramatic change is on the new year’s agenda. Here’s a look at 10 of them, from well-established industry titans to upstart innovators. The property off Necco Court in South Boston’s Fort Point section isn’t much to look at now — it’s home to some paved parking spaces and a pair of drab brick buildings. But General Electric is about to turn it into a new kind of corporate headquarters as part of the nearly 125-year-old conglomerate’s reinvention as a digital industrial operation. The centerpiece of the $200 million project getting underway in 2017 will be a 12-story space-age structure overlooking Fort Point Channel and downtown. The rooftop will be crowned with a solar array, resembling a massive sail, as well as a giant GE logo. The two adjacent buildings will be rehabbed to accommodate a modern office layout. Eventually, 800 employees will work out of the site. It’s a suitably grand and innovative plan for the state’s largest corporation, which a year ago said it would relocate here from Fairfield, Conn., and now occupies a temporary space on Farnsworth Street. The most unusual aspect of the project involves the company’s efforts to attract people to the headquarters who aren’t GE employees. The complex will include a museum and restaurant, space for startups to get off the ground, and a career lab for ambitious high school students. There also will be room for several “convener spaces,” GE-speak for meeting rooms where “thought leaders” can exchange ideas and spark new ones. GE has set an ambitious schedule for completing construction — early 2018 for the existing buildings and late 2018 for the new one. 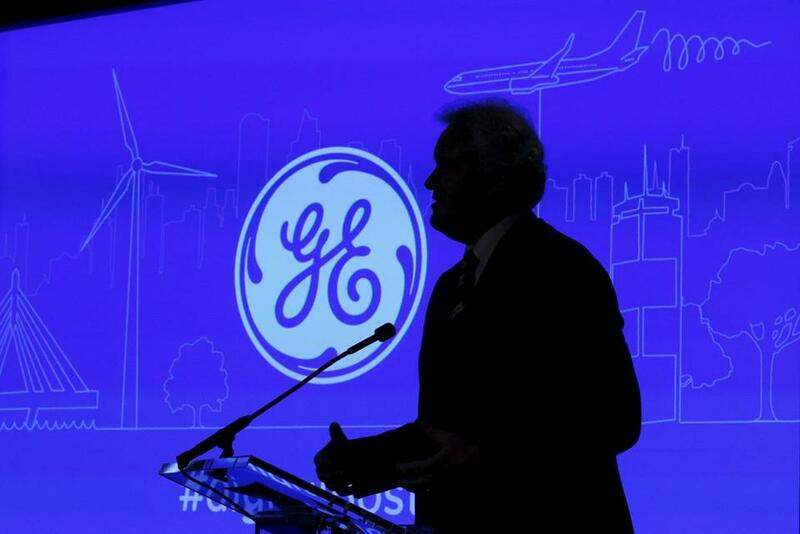 Chief executive Jeffrey Immelt says he wants GE’s new home to be a catalyst for change within his ranks — and throughout Boston. Karl Iagnemma co-founder of nuTonomy. If you actually enjoy driving, the future’s starting to look bleak. The past year unleashed a new wave of experimentation in autonomous automobile technology, with everyone from stalwarts like Ford and GM to tech upstarts like Uber racing to claim their piece of the next transportation platform. Cambridge-based nuTonomy is one of the more serious players in the field. The MIT spinout earlier this year began testing its self-driving car tech on taxis in Singapore, but during the fall the company received some good news much closer to home — the city of Boston said it plans to work with nuTonomy to begin testing autonomous car systems. Trial runs will be staged at the Raymond L. Flynn Marine Park in South Boston. 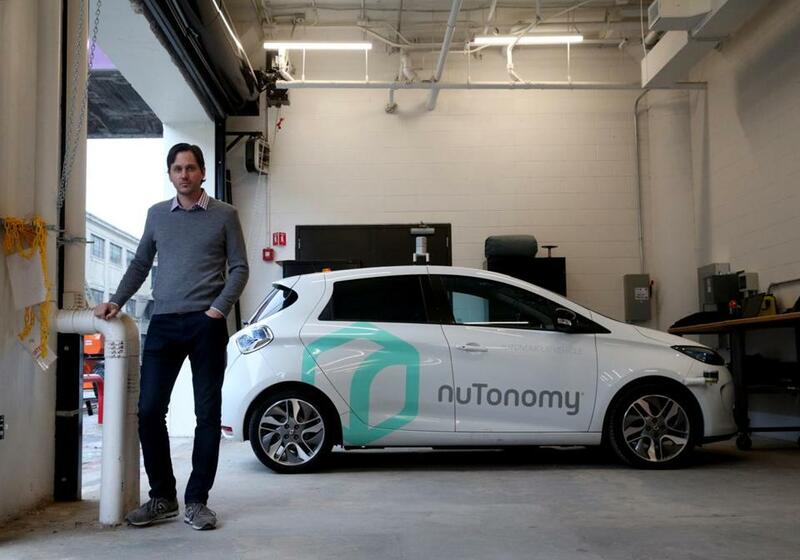 NuTonomy has been busy collecting data about the park, and is set to start its first “fully autonomous” drives this week, chief executive Karl Iagnemma said. While it’s not quite Storrow Drive, the park does feature about 3 miles of roads that are also used by bicycles, buses, people, and old-fashioned human-driven cars. It’s hard to say exactly when those experiments will hit city streets. But researchers are itching for the challenge. They say Boston’s winding roadways, treacherous weather, and bold pedestrians offer a unique proving ground. 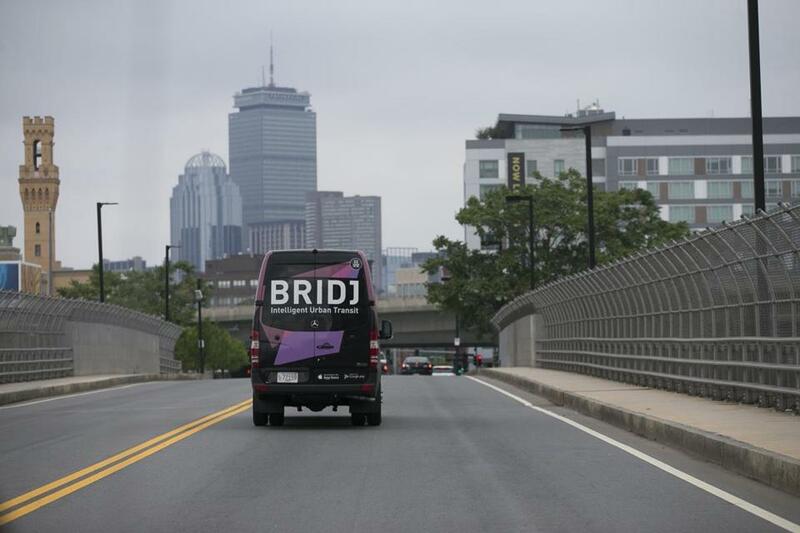 For up-and-coming bus company Bridj, the ride is just getting started. Bridj is an Uber-like service that provides bus rides on demand in Boston, Kansas City, and Washington D.C. Now it’s negotiating to set up shop in about 15 more American cities and expects to announce a deal with a city outside the United States by the end of January. But hauling people is only part of the business plan. The company has launched BridjBOX, an online retailer that sells common household items such as cereal and detergent, and uses Bridj buses to deliver them. Right now, the door-to-door drop-offs are handled by humans. But chief executive Matthew George said he’s hoping to begin testing ground-based delivery robots in the spring. In addition, Bridj plans to conduct tests of self-driving buses to carry passengers and freight. George said that the auto industry has reached out to him with offers to build the automated buses he’ll need. “We’re evaluating proposals from about four different manufacturers right now,” he said. Already, Bridj buses in Boston have run up 1.5 million passenger miles. That’s more than three trips to the moon and back, said George. He’s planning to go a lot farther than that. When he punches in Jan. 6 as chief executive of Biogen Inc., the biggest biotech in Massachusetts, Michel Vounatsos will face immediate pressure from Wall Street to either sell the company or expand its drug pipeline by buying up a smaller business or two. During the six-year reign of outgoing chief executive George Scangos, Cambridge-based Biogen increasingly focused on developing treatments for neurological diseases, especially multiple sclerosis. Scangos began his tenure by selling the company’s Idec cancer drug division and ended it by spinning off Biogen’s hemophilia drug division as a separate company. Biogen’s new leader has to figure out how to increase revenue, even as sales of its lucrative MS drugs slow. In addition, the prospects of a new blockbuster medicine emerging from its current roster of drug candidates are slim until after 2020. That’s when the company’s experimental treatment for Alzheimer’s disease should go before regulators. 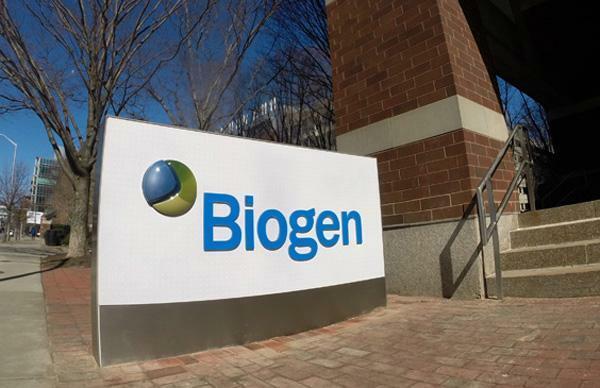 If Biogen doesn’t scoop up another company that has a promising drug ready to market, it could become a ripe takeover target for Big Pharma companies sitting on piles of cash. 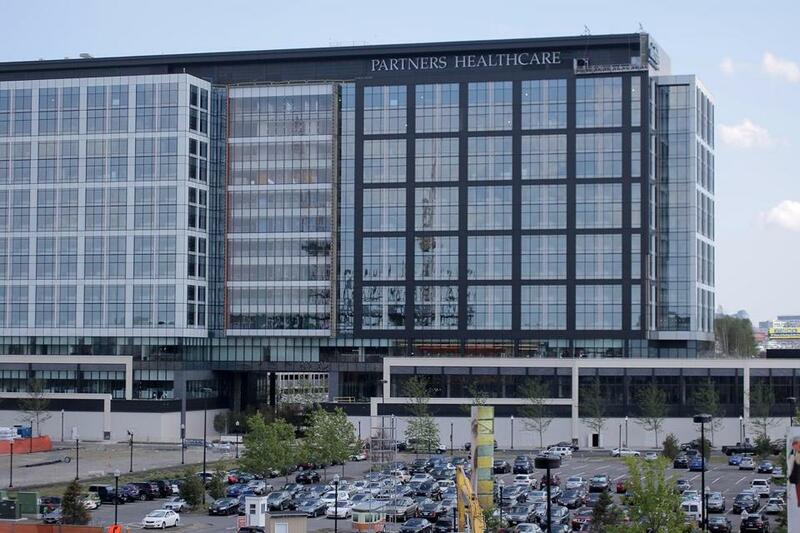 A buyout would follow the script of other one-time anchors of the Massachusetts biotech cluster, notably Genzyme Corp. and Millennium Pharmaceuticals Inc.
Want to know how much steam Boston’s building renaissance has left? Keep an eye on Millennium Partners. The company is aiming to break ground this fall on a billion-dollar skyscraper at the site of the Winthrop Square Garage, a stalled project that has long been a priority for City Hall. Millennium’s strong track record for pulling off complicated downtown tower projects helped it beat out five other big-name builders for the Winthrop Square rights. The questions surrounding Winthrop Square are many. The way they’re answered will tell a lot about the state of the city’s super-heated commercial real estate market. Can Millennium navigate the delicate politics around the Boston Common Shadow Law, which must be tweaked to make way for a building of any substantial height on the site? Can it finance an expensive mix of condos and office space this late into a long-running real estate boom cycle? Can it convince a major tenant to anchor the office space? Can it find enough wealthy buyers to fill yet another building’s worth of luxury condos? 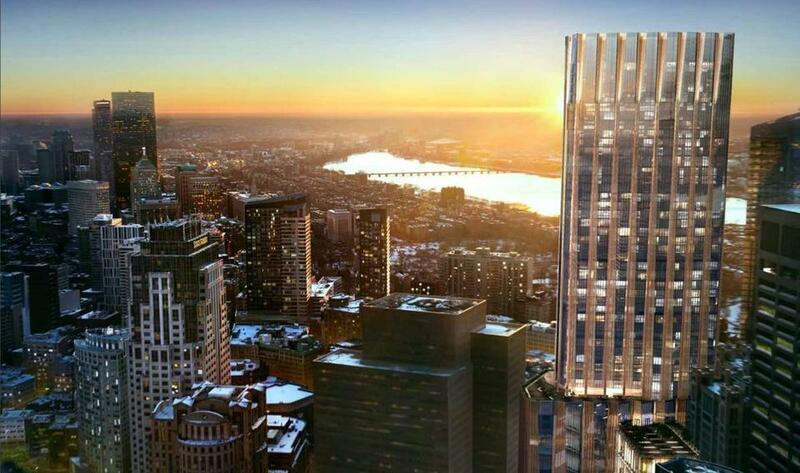 If the answers are all “yes,” expect the tower — and other lower-profile projects —to break ground, and count on Boston’s epic real estate run to roar on for another year. If Millennium can’t pull it off, however, the failure may well be a sign that the boom is done. 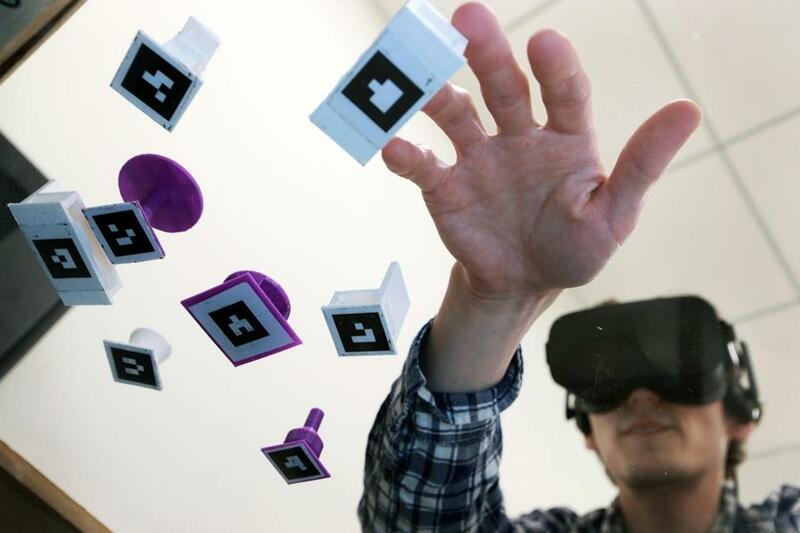 Mike Festa used a 3D device that allowed him to move pieces that represent furniture in the Wayfair Virtual Reality Lab. The online seller of home furnishings — which features a dizzying range of discounted inventory — faces a fundamental economic question in 2017: Can it stop bleeding so much money? Through the first nine months of 2016, Wayfair reported a net loss of $150 million, double the prior year’s total. At the same time, revenue rose to $2.4 billion, up from $1.5 billion a year earlier. The challenge ahead is obvious, and a lot more complicated than it sounds — the company has to trim losses while continuing to increase revenue. “There is a secular shift underway as consumers shift home purchases away from brick-and-mortar stores toward online purchases,” said chief executive Niraj Shah on a day in August when Wayfair’s stock price fell by 20 percent, its worst day since going public in 2014. But if that shift takes too long, or never materializes to the extent Shah is counting on, Wayfair eventually could find itself by the wayside. To help accelerate the process of luring store-centric consumers, the company has created a development team called Wayfair Next. It’s working on augmented and virtual reality apps that would help consumers visualize how Wayfair’s products would look in their own real-world surroundings. For example, a customer might be able to see how a new lamp looks next to the sofa — without having to visit a showroom, or return a product that just doesn’t look right. Along with 2016’s rising revenues, there was a statistic that Shah has touted as a sign of good things to come for Wayfair — repeat customers were up by about 50 percent. For it to reach profitability, the company’s going to need more of those relationships to develop. At the former Hood dairy plant, scientists working for Indigo Agriculture are trying to coax bacteria and fungi to produce supercharged versions of everyday plants. If they succeed, farmers could begin harvesting crops that require less water and fewer pesticides, all without having to mess with a plant’s DNA. There’s a lot of money betting they can pull it off. Indigo, which raised $100 million from investors during summer, is one of the leading companies trying to commercialize the plant microbiome, a universe of tiny organisms that can deeply influence their hosts’ behavior. Indigo creates custom blends of microorganisms that are used to coat seeds. Those microorganisms grow along with the crop, becoming part of the plant itself much like the bacteria and other bugs that live in human and animal guts. The company already has shown some promise outside the lab, planting more than 50,000 acres of a drought-resistant cotton earlier this year. But there’s still plenty to prove. 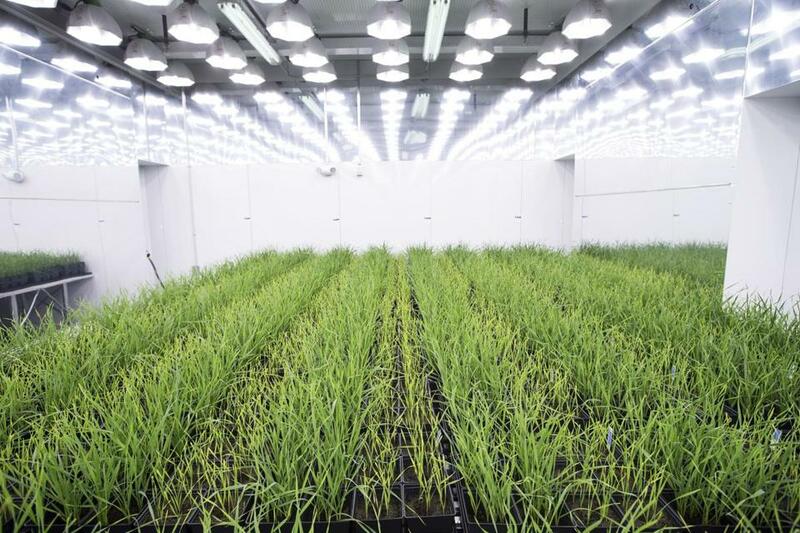 Experts say exploration of the plant microbiome is so new that scientists still aren’t sure how the interactions between microorganism and host are carried out. If Indigo can unlock more of those secrets, a big reward could follow. The crowd-sourced investment platform attracted cash and big-name backers in 2016. Now it has to make the leap from novelty start-up to reputable money manager. 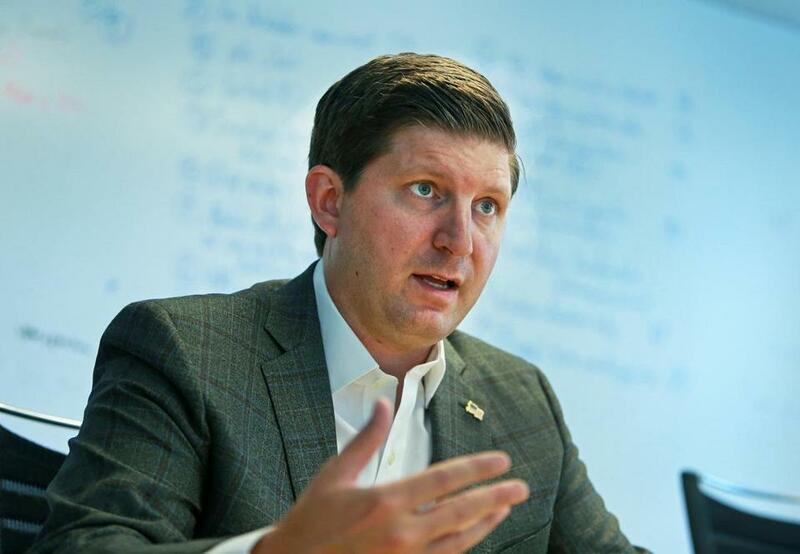 The financial-technology firm, founded by John Fawcett, relies on a roster of experts to come up with investment strategies. Mathematicians, scientists, and professors from around the world can write investing algorithms and submit them to Quantopian to be tested. If they work as pitched, Quantopian pays the authors a share of the returns. That unusual approach drew famed hedge fund manager Steven Cohen to Quantopian earlier this year. Cohen became Quantopian’s first major client, giving it millions of dollars to manage. Key Silicon Valley venture firms, including Andreessen Horowitz — which has helped finance technology companies such as Facebook, Airbnb, Pinterest, and Skype — also invested in Quantopian earlier this year. Since its launch five years ago, the company has been using its own capital to test algorithms. But it’s has been adding staff, including a chief financial officer, as it begins managing money for outside clients. In 2017, it will be under pressure to show that strategies and returns can compete with old-school Wall Street traders. In an age of convenient online retailing, TJX still has the magic formula for generating old-fashioned brick-and-mortar sales. Thanks to its large — and continually changing — inventories of clothing and household goods, the owner of TJ Maxx, Marshalls, and HomeGoods stores continues to enjoy success by bringing customers through its doors over and over again. In 2016, TJX was No. 89 on the Fortune 500 list, with revenues of $31 billion and profits of $2.9 billion. Its stock has more than doubled over the past five years, and revenue is up more than 30 percent during the same time period. Retail experts say TJX’s consistently strong performance shows consumers are still willing to abandon their online shopping carts and venture into stores if the deals — and merchandise quality — are worth the effort. 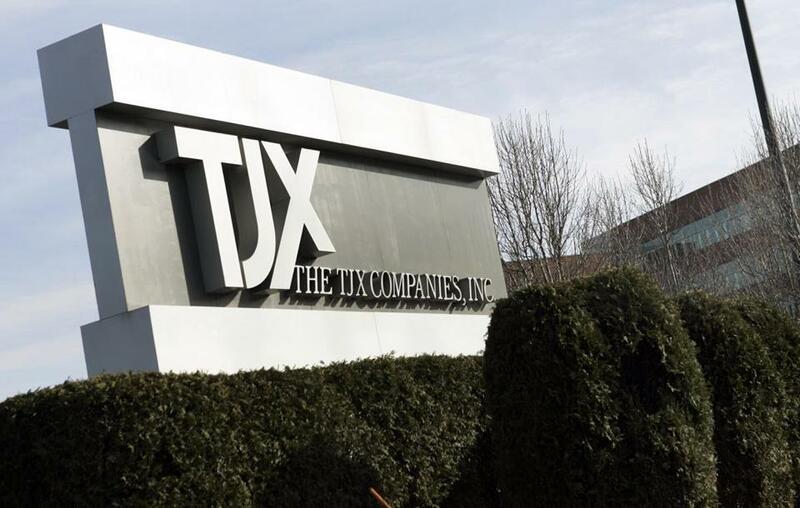 There’s no indication of a 2017 slump on the horizon for TJX, but it will face more competition. Stores like Saks Off 5th — an off-price off-shoot of Saks Fifth Avenue — Nordstrom’s Rack, and Macy’s Backstage are all expanding their bargain-priced offerings. These are tough times at Neighborhood Health Plan. The health insurer, which serves a population of mostly low-income families and individuals, has struggled with the costs of its more than 300,000 Medicaid members. As part of a corrective action plan developed with state officials, it’s temporarily stopped enrolling new Medicaid members and was asked to renegotiate some of its contracts with hospitals. Over the last three years, the insurer racked up operational losses of $322 million. Ordinarily, a sea of red ink that deep might be devastating. Neighborhood Health Plan is owned by a company with deep pockets, Partners HealthCare. But Partners, the state’s largest health care provider, has not been immune to the insurer’s struggles. It finished the fiscal year ended Sept. 30 with $108 million in operating losses — $104 million of which came from Neighborhood Health Plan. Partners in the past considered selling the insurer, but executives now say they’re committed to keeping it. In 2017, the pressure will be on to add enough new commercial members to offset some of the Medicaid losses. Better yet, can it find a way to break even, or even turn a profit on Medicaid?